Do not worry Hansel, I will leave a trail of breadcrumbs for us to follow back home. And of course Hansel and Gretel. She likes the way the children out smarted the cannibal witch. You are pretty sure her favorite part of the story is the house made of candy though. She has asked if you could possibly make her windows of sugar, and her walls of ginger bread. You said no, but she still has that gleam in her eyes, that says she is still thinking about it. 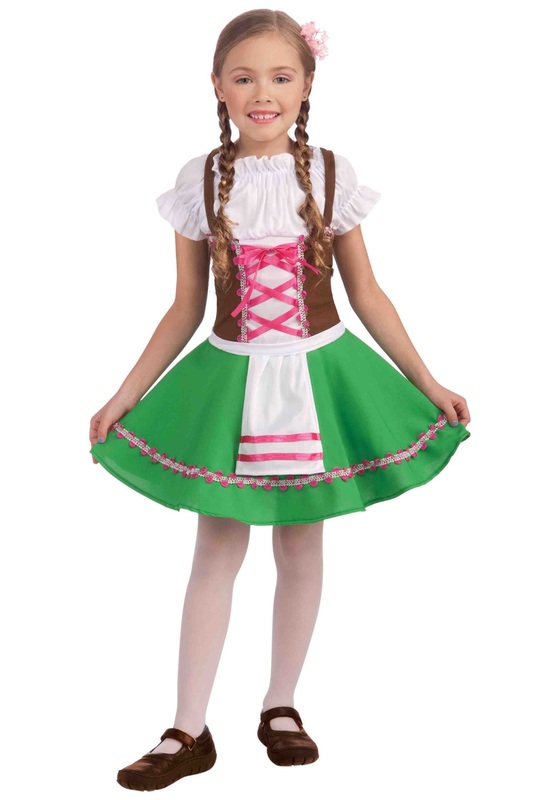 Get her this Child Gretel Costume, and see if maybe that stops her candy lust. Just don’t leave her in the woods like Hansel and Gretel's parents did. You know she would be smart enough to find her way back with breadcrumbs, but you don’t want to do that to her anyway. What if she actually ran into a cannibalistic witch out there. You aren't worried about her safety, you know she would make it home safe, and sound. She is just as brave, and smart as the original Gretel from the story. No you are more worried about the dentist bill because of all the cavities she will have from eating the witch's house that is made of sweets.